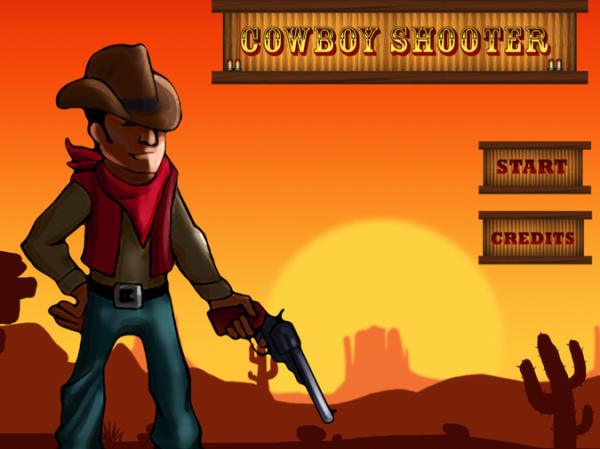 Cowboy Shooter -HD (Free) by Shannon Covington is a shooter game that involves aliens and cowboys. 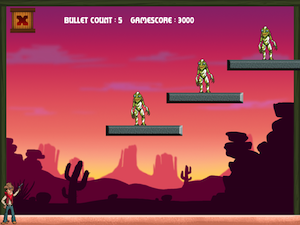 Aliens have landed here on Earth, and it’s your duty as sheriff to clear out the riffraff. You have, what I assume to be, rubber bullets that ricochet off of the walls in order to better annihilate your unwelcome guests. 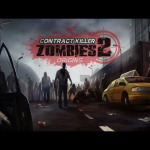 Although it’s a game about destroying aliens, it’s not bloody or gory. The aliens just vaporize. However, the knowledge of physics required to get the bullets to bounce off of the walls properly makes this a game better suited for teens and adults. This isn’t a game that I would hand over to my elementary school child and expect them to be able to play with much success. However, I’m sure there are plenty of fifth graders out there who could prove me wrong and shame me in their ability to out perform me in this game. 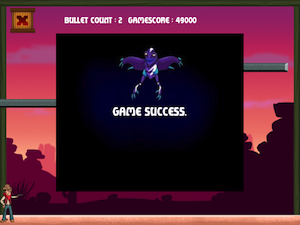 Each level has a set amount of bullets that you can use to achieve your goal of an alien-free frontier. The level ends when you either clear out all of the aliens or run out of bullets. 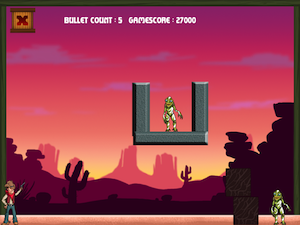 There’s also a set amount of times that the bullet will ricochet off of the walls. By my count, that number would be five. The level must be cleared in order to move on to the next game. Unlike other games like TryAngulate, where you clear multiple levels at a time in case you can’t beat a certain puzzle, you can only pass one level at a time. There are 10 levels in the first scene, and there are three scenes to play through. Something to be mindful of is the free app of the day advertisements. They pop up after each click through the various menus. You can end up tapping on these ads unintentionally if you tap through the menus too quickly. 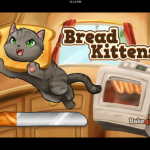 In short, this game is relatively nonviolent, but it requires some advanced problem solving skills. 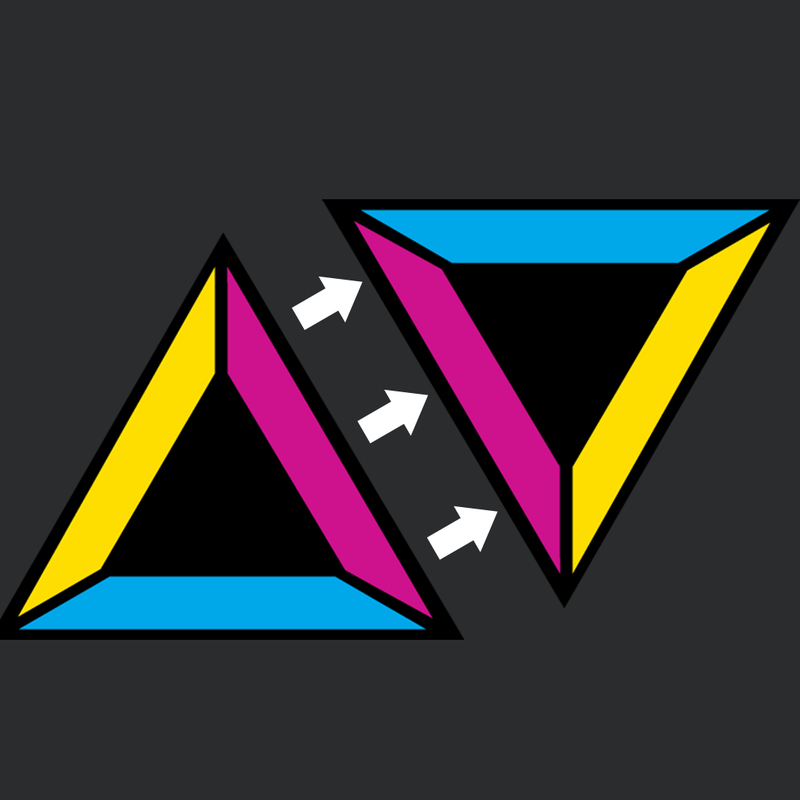 That would make this game appeal to both teens and adults as they work their way through each puzzle. 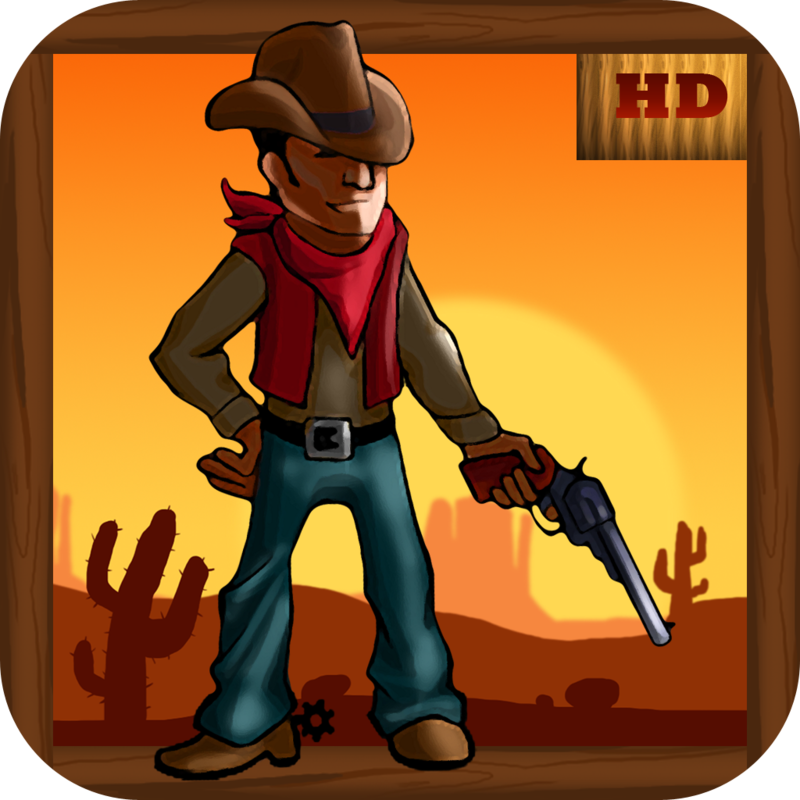 Cowboy Shooter is a universal app and it’s available in the App Store for the awesome price of FREE!